Who doesn’t love living a luxurious life, but with the increasing crime rate, what one demands more than luxury is a safe living environment. Wouldn’t it be fantastic if you are offered both? Certainly yes! This is exactly what the upcoming residential projects in Gurgaon are offering. Living in a well-maintained and a well-designed residence is what people can enjoy in Gurgaon. Today more and more people are opting for luxury apartments in Gurgaon. 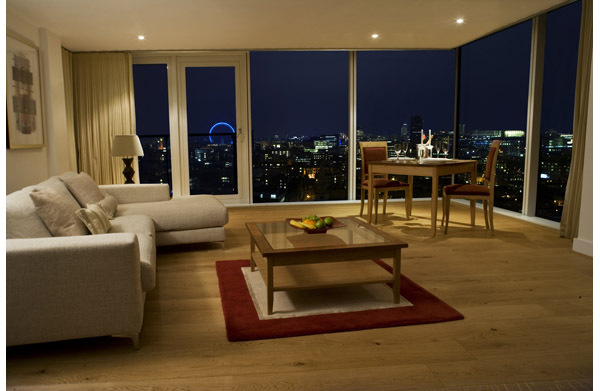 Here are a few reasons for choosing luxury apartments. Safe environment: This is one of the most important factors that should be kept in mind before buying an apartment. The apartments for sale in Gurgaon are built carefully and utmost importance is paid to the safety of the residents. The companies that offer luxury apartments are very particular about the safety measures they provide. A guard at the entrance manages the security and makes sure that only the people living in the apartments, enter. Also, the guests are allowed to enter only after a proper verification. This keeps the environment safe and secure. Serene view: Luxury apartments are built in spectacular locations and what is the fun of living in these apartments of you cannot enjoy the view. Keeping this in mind, terraces and balconies are built along with the apartments. The apartments range from one bedroom, two bedroom to studios and duplex residences. Spacious: The rooms, kitchen and bathrooms of these apartments are large and provide immense comfort. Also, there is a good news for pet owners – along with providing ample of space, these apartments are also pet-friendly, this means that if you own a pet, you do not need to worry about anything. Safety of vehicle: The houses for sale in Gurgaon, ensure your safety and at the same time also ensure the safety of your vehicles. A dedicated parking space and garage is provided to every resident. This ensures that your vehicle will remain safe even when the weather is bad and when there will be broken trees and branches. Moreover, since every resident has his individual large parking space, there is no question of one car accidentally bumping into another car. The provision of all these facilities make luxury apartments ideal for a happy and luxurious living. This entry was posted in FlatsAndApartments and tagged apartments for sale in gurgaon, houses for sale in Gurgaon, luxury apartments in gurgaon, Upcoming Residential Projects in Gurgaon on September 30, 2014 by Admin. Definitely residing in an apartment is more safer than residing in an duplex house.Great information on it….